Disembark your plane at Narita, the airport that shouldn’t exist, the airport that suffered protests, the airport thrust into the countryside, the airport rice farmers attacked with bombs—bombs!—the airport in which one small rice paddy was left in the middle of the tarmac because one farmer simply wouldn’t sell his land. You hear this—this story of the tarmac rice paddy—about this airport so far from the city proper, and you believe it (why not?) because you can imagine far stranger things happening in this unknowable country about which you know so little. Disembark and wipe the blear from your eyes. High-fives to immigration and customs. Board the Narita Express. Those dangerous paddies flit by your window as night descends. Eat onigiri from the cart lady. Drink green tea from the cart lady. Marvel at the punctiliousness of the cart lady. Jump off at Tokyo Station because, well, it sounds important, a critical station, the critical station, Tokyo station, forgetting that you were supposed to get off at a so-called “Shin . . . juku?” station, forgetting even that the train went to Shin . . . juku. Everything is a jumble and your brain is still over the Pacific, anyway, due to arrive in approximately three days. Get lost at Tokyo station and have a little old lady—speaking not a word of English, hair a blue puff, hunched four-foot-five, scarlet shirt—sense your concern, your lostness, you, The Other and take you by your nineteen-year-old hand and weave your way through the throngs of a rush hour metropolis, a life-in-bags, knocking young women in click-clack high heels, old men in dark suits, everyone tiny, foreign announcements trumpeting overhead, your octogenarian red dot bounding ever faster, arm outstretched behind her body, soft hand holding on with a strength that surprises. You knowing only “Shinjuku,” a word written on your itinerary and so you keep shouting it like you’re insane and she keeps nodding and yelling the unknowable back and you think that, heck, this is something, this is a way to fast forward through the labyrinth, to get to where you’re supposed to go with but an innocent smile and a single word. Remember the first moments you leave the network of train stations. Rise up from the underground in a back suburb of Shibuya. Emphasis on the bu because you still can’t speak Japanese, don’t yet know how to properly intone. Look around. Everything—everything—new. Not a familiar sight or sound or smell. Remember the miniature trucks on the wrong side of the road. Remember so many cigarettes bobbing in the evening air. Signs all scribbles, standing on end. Bars and restaurants Jenga stacked. Remember the street lights, their beautiful octagonal prisms hanging in tight luminescent bunches. Remember the barber shops closing, languid sweeping, the rush and fall of pachinko parlor screams as their automatic doors opened and closed for addicts unseen, the small tobacco shop carved into the corner of a house, the noodle shop variants aside noodle shop permutations. Remember how rough your palate—an American pallet built upon a simple childhood of fried bologna, Spaghetti-Os, Wendy’s cheeseburgers, Peppermint Patties, Snickers, Snapple, Fruit Roll-Ups—is upon arrival. How little you understand the food, you, The Other, the heathen, baptizing each piece of sushi in a lake of soy sauce, how you know not the difference between udon or soba, how you are afraid of tako-yaki, tako-anything, how the difference between hire and normal katsu is lost on your rube gullet, how eating oden—the floating “food” at 7-11 (a 7-11!) that smells of old feet—is unimaginable, natto unthinkable, how it’ll be years before you even meet tororo and years thereafter until you can slurp the white goo up, until you crave it, demand it with your grilled fish, the names now of which you know: the fleshy saba, hokke, sawara, the bone filled sanma. It takes years to strip down your crude gut, to re-train your body to crave these foreign flavors, flavors that become native, indigenous to your mouth and brain, a mouth and brain reconstructed to navigate the beautiful nuances of this less and less foreign land. The more you visit the more you accrue—things, sure, but really, memories, or more specifically, nicks and cuts and dents and patches and weld marks of the heart, parts of which—a ventricle here, a valve there, your innocence, a first betrayal—are locked in the various drawers of this city, never to be returned. And so some place names become temporary land mines, others buoy the chest. Over time they normalize, mostly. Remember the summer on the seventh floor in a Nogata building most definitely not earthquake proof, daily rides on the Seibu Shinjuku line—a bastion of the bizarre, the down-and-out—capping the days with clove cigarettes smoked in underwear on the balcony looking out over a hushed city, street lamps burning down to the horizon. Remember Kagurazaka and the first geisha (of dozens? hundreds?) to flutter past the one-coin bar you spent too much time in as a student. 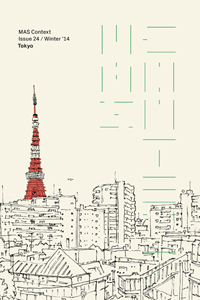 Remember Waseda and Takadanobaba, the late night improv jazz performances at the smoke soaked Intro, fifty, sixty whiskey drunk musicians from twenty to eighty years old—the older the drunker—all jostling and vying for a turn on stage. The short stint on a friend’s floor in Nishi Kasai (why, oh why, was he living there?) with disproportionate populations of Indians and prostitutes smoking and soliciting at all hours—Curry! Massage!—just outside the station gates. Your time spent in a patch of nowhere land behind Omotesando, the books and (literal) marathons that started and ended in that tiny room of tatami mats. The other rooms, the other stations, the other cafes, the other restaurants, the other night walks, always on the outside, always looking in. 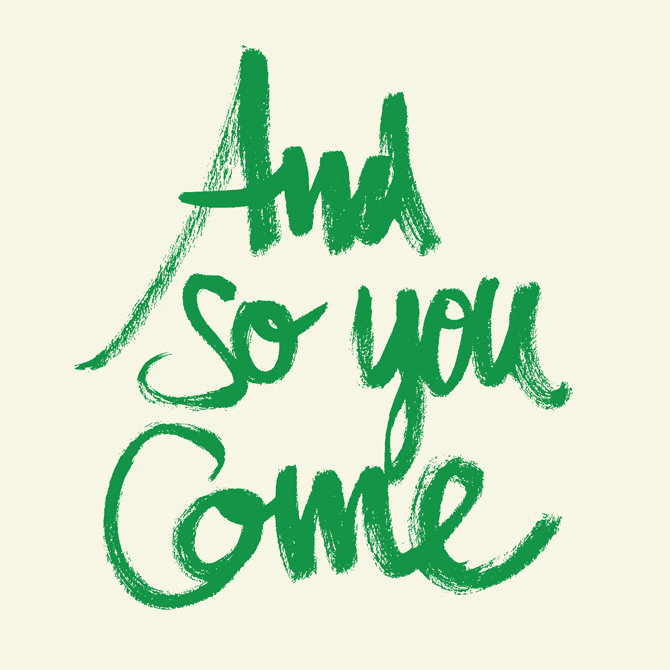 And so you come. You, The Other. Come to this city upon which you hold no claim, come with a blank mind, a beginner’s mind, knowing few things but really knowing nothing. It’s better that way. Don’t delude. Cherish these opening moments, unreturnable moments, sharp moments, moments seared into the supple mind of a new visitor, eager, excited, impressionable, the moments still clear to me fourteen years after touching down, after getting lost, after being squeezed by the hand and kindness of that tiny old lady, after emerging from the spaghetti of the underground up onto the edge of the twilight center of this Swiss clock of a city and taking, finally, those first steps within. Craig Mod is a writer and designer interested in how the digital shifts in publishing, writing, and the reading of books is changing education and culture. His writing has appeared in The New Yorker, The New York Times, CNN, New Scientist, Codex Journal, Contents Magazine, The Morning News, Medium.com, and other publications. He splits his time between Tokyo and New York. This was just beautifully, beautifully written. Well done. As a reader, I thank you.